The intention of this paper is to theorise social change. This is undertaken initially by employing the feminist critique of the major theories of social relations in modernity – a critique which gives significance to care. The feminist critique is then itself reconsidered. By this means, some uncertainties are raised about exactly what is vital to social change. In particular, uncertainties arise concerning the place of care, of emotional caring bonds, in analysis of social change. Exploration of the place of care enables a re-engagement with key insights in work by crucial men and masculinity (MM) scholars, as well as with feminist debates concerning the value of care as against justice. Professor Chris Beasley is Professor in Politics, and from 2009-2013 she was Co-Director of the Fay Gale Centre for Research on Gender, at the University of Adelaide. She primarily teaches in three areas of Politics – social and political theory, gender and sexuality studies, and cultural politics. Beasley has previously studied and taught in a range of disciplines/departments, including Sociology, Women’s Studies, Aboriginal Studies, Education, Philosophy and Cultural Studies. Her books include Heterosexuality in Theory and Practice (co-authored with Heather Brook and Mary Holmes, 2012), Engaging with Carol Bacchi (co-edited with Angelique Bletsas, 2012), Gender & Sexuality: Critical Theories, Critical Thinkers (2005), What is Feminism? (1999). She has also developed special issues in several journals, such as ‘Sexualities’, ‘Men and Masculinities’, ‘Australian Feminist Studies’ and ‘Health Sociology’. Professor Beasley is also engaged in several research projects, including boys’ schooling, embodied ethics and revaluing care, the impact of neoliberalism upon academic practices, and innovations in heterosexuality and hetero-masculinity. Fay Gale Lecture 2017: What Matters In Social Change? : The Uncertain Significance Of Caring. the Fay Gale Centre for Research on Gender, at the University of Adelaide. Prof Beasley primarily teaches in three areas of Politics —social and political theory, gender and sexuality studies, and cultural politics. 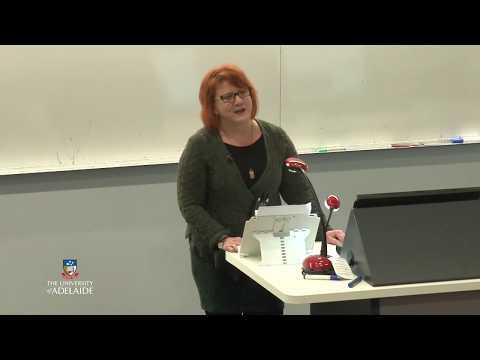 She has previously studied and taught in a range of disciplines/ departments, including Sociology, Women’s Studies, Aboriginal Studies, Education, Philosophy and Cultural Studies. Her most recent books are Revaluing Care in Theory, Law and Policy (co-edited, 2017) and Heterosexuality in Theory and Practice (2012).